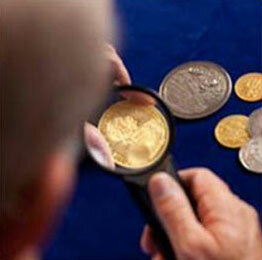 Auction House "Rare Coins» recommends trust assessment of authenticity, state of preservation and the market value of the coins only to professionals. Only here you can get an estimate of the coins online. Our experts will help you to assess the market value of the coins or numismatic literature and obtain recommendations for their implementation. In the case of interest in the auction house "rare coins" to the proposed subjects, you may be asked their urgent purchase or offering for our nearest intramural auction. For examination online fill out the form below, attach the image of the object (photo or scan: for coins - on both sides, for books- cover and spread). The quality of the photographs depends estimation accuracy. Also, do not recommend self-washed and cleaned coins "raid stories" can favorably affect the final cost of the coin. Without image requests are not considered. 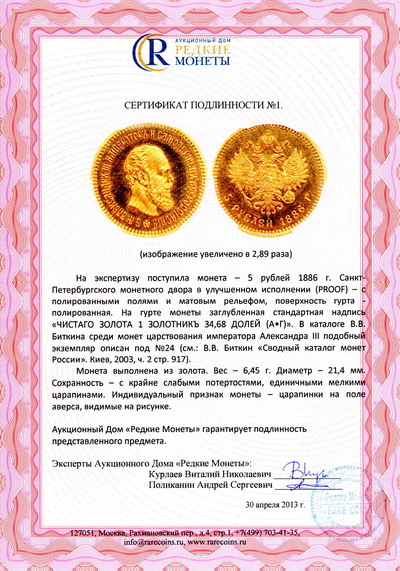 On the coin purchased from us, upon request certificates of authenticity.